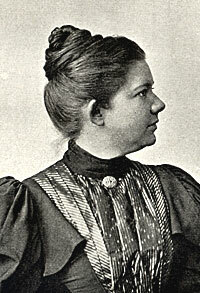 Amy Beach was the first recognized American woman composer. A musical prodigy, Amy Beach would sing complete melodies as a toddler and began taking piano lessons officially at age 6. She performed concerts throughout her youth until she was married. Her husband insisted that she only put on one concert per year, but encouraged her to dedicate time to composition. Amy Beach composed art songs, pieces for piano and chamber groups as well as larger works for symphony orchestra (including one symphony called the “Gaelic” Symphony. Click here or here for more about Amy Beach.